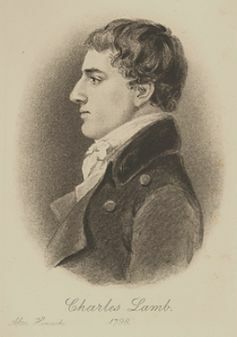 “Is it possible I could have steeled my purse against him?” the Romantic essayist Charles Lamb asked in 1822, writing about a man who sat each day by the road begging alms. “Give, and ask no questions.” Today, charities must answer plenty of questions before they can persuade an often wary public to untie their purse strings. The charity sector as a whole is facing a wave of scrutiny. A glance at some recent scandals suggests that the root of this discontent lies in a perception that the direct connection between the individual giver and the recipient has broken down; that the charity is not acting as we would if we were delivering the aid ourselves. On an almost daily basis, we read complaints that charities are too large, or spend too much on back-office costs, or use aggressive fundraising techniques, or have become distracted by political campaigning. The government’s commitment to spend 0.7% of GDP on international aid rankles with many because taxpayers have no direct control over how the money is spent, or whether it should be spent at all. And the collapse of Kids Company in 2015 sparked further questions and concerns about how charities operate. And yet the idea that charitable giving is something we weigh up in our own minds is a relatively recent invention. Traditionally, the church taught that it was good to give to charity for the benefit of one’s soul, no questions asked. It was only after the Enlightenment and the French Revolution, when traditional sources of authority began to fall away, that individuals had to make up their own minds about when to give to charity and why. The Romantic movement, which reflected a new focus on emotion and individualism, has a lot to teach us about the questions we tend to ask today when giving to charity and the reasons why we give to charity at all. William Wordsworth, contemplating the ruins of Tintern Abbey (once a centre of monastic almsgiving) wrote that the “little, nameless, unremembered acts of kindness and of love” that make up the “best portion of a good man’s life” could be found in the natural world, now that religion could no longer provide all the answers. For him, nature could inspire moral goodness just as Tintern Abbey’s monks drew inspiration from daily prayer. In another poem, The Old Cumberland Beggar, Wordsworth wrote that seeing the objects of charity kindles benevolence in us and throughout the whole community. The visible presence of poverty reminds us of the good we have done and what we have yet to do. But what if our minds are in no fit state to reshape society in our own image, asked John Polidori in his lurid tale The Vampyre? His bloodsucking villain Lord Ruthven (modelled on Byron) lavishes “rich charity” on the “profligate” and the “vicious” man in order “to sink him still deeper in his iniquity”, while the virtuous man who has suffered innocently is turned away “with hardly suppressed sneers”. Polidori’s nightmare philanthropist spends money on the worst possible causes, reminding us how individual caprices can skew charitable priorities. Lamb’s essay, A Complaint of the Decay of Beggars in the Metropolis, tried to banish such egotism. He argued that begging was “the oldest and honourablest form of pauperis” and taught us not to value our own dignity too highly. The “all-sweeping besom [broom] of societarian reformation” is what happens when we think we know best, tidying away the emblems of poverty that act as “the standing morals, emblems, dial-mottos, the spital sermons, the books for children, the salutary checks and pauses to the high and rushing tide of greasy citizenry”. 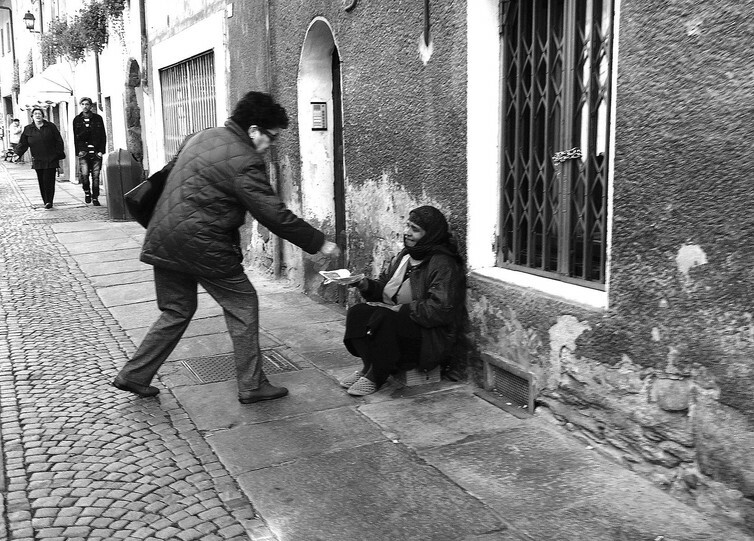 For Lamb, the beggar was a defiant figure – “the only free man in the universe” – and it is better to be deceived by fraudsters than not to give to charity at all. Romantic literature teaches us that many concerns about charities today, such as how effectively money is spent, are perpetual ones which, extreme cases aside, we should learn to accept. It reveals to us how important our feelings have become when we decide how to give to charity. But as Lamb wrote, we are not always in the best position to judge what needs to be done. If we had time to do everything ourselves there would be no need for charities at all. Sometimes it is better to step back, accept that running a charity isn’t easy and let good charities get on with the work on our behalf. It also reminds us that charitable organisations are filling in for individual acts of charity that we cannot perform ourselves. By pointing out the power and pitfalls of imagination, the Romantics help us to navigate the complexities of the charitable encounter and to know when to step back and let a responsive and realistic charity sector carry out its work. Andrew Rudd is a lecturer in English at the University of Exeter, This article was originally published on The Conversation. Read the original article.